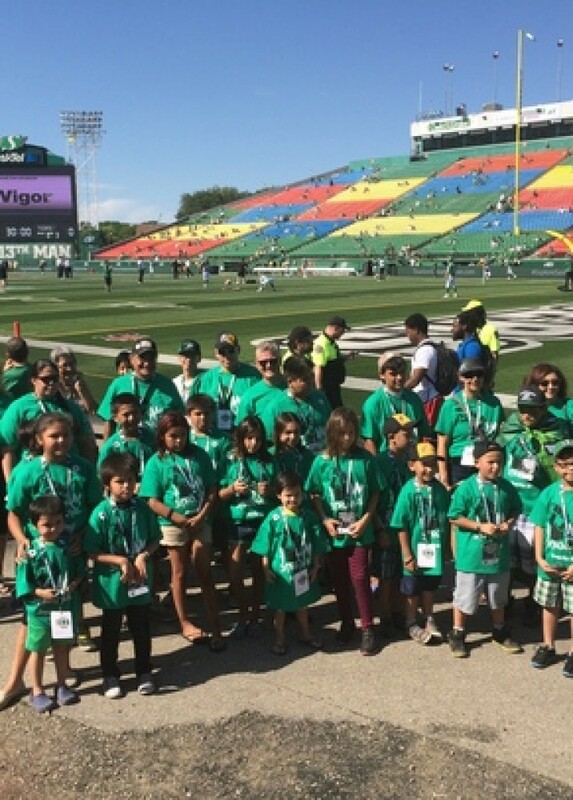 Recently SaskTel and the I Am Stronger team accompanied a bunch of young and excited Rider fans to a Rider game. The group was from KidSport, a non-profit organization that financially assists youth who want to participate in sports. As an organization that believes in the youth of this province, it only makes sense to be partnered up with a group such as KidSport. Providing opportunities to youth is a common objective that SaskTel and KidSport have, and we are excited to be working together to positively impact the lives of others. Although the outcome of the game was not what we had hoped, that didn't stop us from having a great time. We're looking forward to more games, more good times and more collaboration with such an amazing group. Now, let's go Riders!!!!!!!!!! !